Happy New Year to YOU, Katie and Glogorly! We liked your movie! Happy New Years!!! nice movie. :) wishing you and your family all the best in 2012! 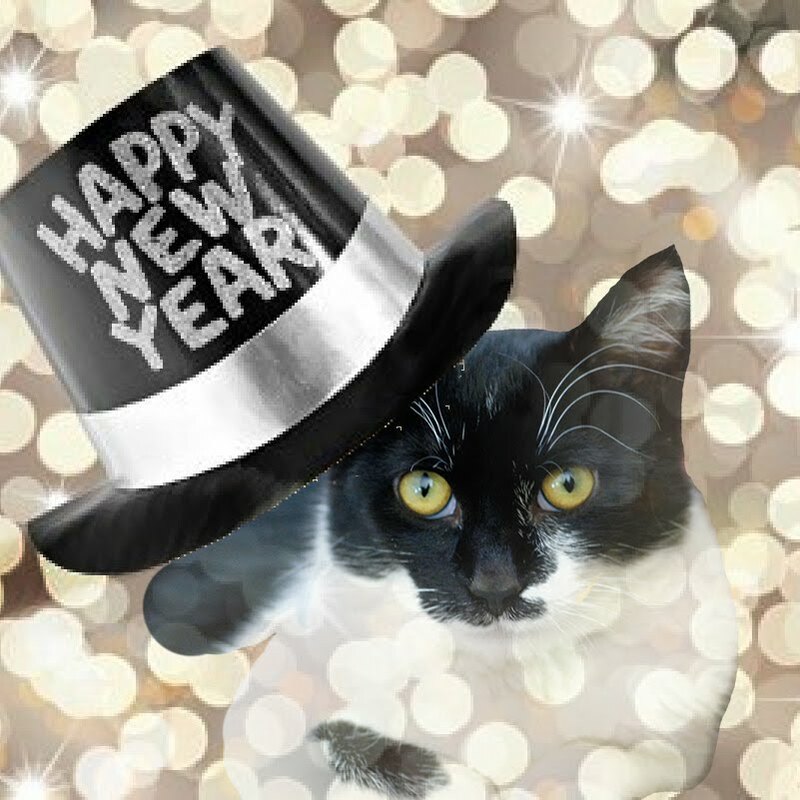 Happy new year, Katie and Glo humans! I am looking forward to more of your adventures in 2012! Happy New Year! We hope this year is the happiest one ever! Love the video! Happy New Year Katie, Glogirly, and Gloman! That is a good video. Happy New Year to you all. FUN!!! We loved the Higher and Higher part the best! Happy New Year! Here's to a reasonably healthy and happy 2012--remember to take joy in the everyday things. Say, did you ever defeat Red Dog? Late Merry Christmas greetings and we hope you have a wonderful and Happy New Year! Happy New Year Katie, Glogirly and Gloman!!!! That was a super video! Happy New Year! We hope 2012 is a wonderful one for you!! you aren't nearly as happy to have found us as we are to have found YOU! We just love you too! Happiest New Year to you all! What a fabulous movie! Happy New Year to you, too! You are such a talented family!! The higher and higher part was our favorite, too. Happy New Year from across the bridge.